We’re thrilled to introduce our brand new digitally-printed gift tags. Full color, and fully customizable to suit your needs. This gift tag features a buffalo check patterned background and your monogram on the front side, and is blank on the back – perfect for writing a note! 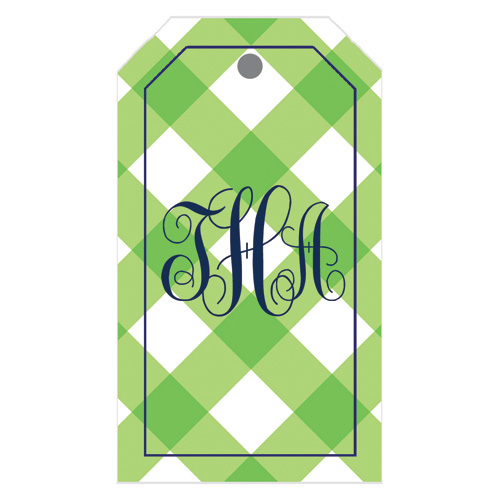 All monogrammed gift tags are custom made especially for you. They may not be returned.